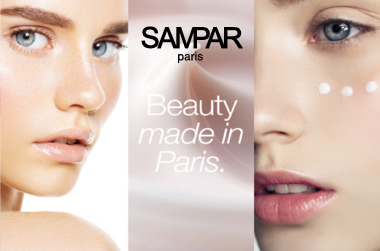 'Beauty cannot wait’, the philosophy that French skincare brand SAMPAR live by. Founder Patrick Sounigo combined his medical studies with his passion for cosmetology and developed a skincare range that promised both immediate visible results and long-term clinically proven efficacy. Targeting the 'impossible', SAMPAR has two products within their range called The Impossible C-Rum and The Impossible Eye Cream that work to slow the skin-aging process and recover the look of youth. The 5-in-1 face serum works to the simultaneously firm skin, reduce wrinkles, hydrate, reduce the appearance of dark spots and promote radiance. Containing SAMPAR's exclusive Skin Youth Reverse Peptide, this serum works to smooth fine lines and deep wrinkles with continued use.